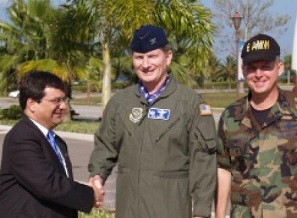 Congressman Bilirakis specifically requested a seat on the House Committee on Veterans' Affairs because of his commitment to advocate on behalf of veterans and their families in the United States Congress. He has worked throughout his tenure in Congress to ensure veterans receive quality and timely services while promoting transparency throughout the VA. In the 112th Congress, Bilirakis championed two pieces of legislation that were signed into law. The first, H.R. 4057, the Improving Transparency of Education Opportunities for Veterans Act – introduced by Bilirakis – directed the VA to develop a comprehensive policy to improve outreach and transparency to veterans and members of the Armed Forces by providing information on institutions of higher learning. The second, S. 3202, the Dignified Burial of Veterans Act, included language from the House companion bill offered by Bilirakis. S. 3202 requires the Secretary of Veterans Affairs (VA) to provide caskets or urns for veterans with no next of kin and insufficient resources to cover burial and funeral expenses. In addition, Congressman Bilirakis is fighting to bring additional health care resources to Florida and the Twelfth Congressional District. Since coming to Congress, he has worked with local and national VA officials to expand the Pasco County VA Outpatient Clinic and bring additional health care services, such as dental care and mental health services, to area veterans. He also has visited the James Haley VA Medical Center (VAMC), meeting with the medical center staff and veterans to discuss the care and services provided at the VAMC. As a member of the Veterans’ Subcommittee on Disability Assistance and Memorial Affairs (DAMA), Bilirakis has also toured the VA Regional Office and met with VA officials to discuss veterans’ claims processing issues. He is working with his Subcommittee colleagues to improve the claims processing system to reduce the claims backlog and shorten response times. Too many veterans wait too long for care, and too many find the appeals process onerous. Reducing the claims backlog and providing veterans with timely and quality access to care is a top priority for Congressman Bilirakis. 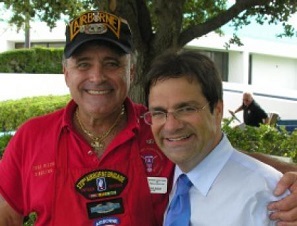 Congressman Bilirakis also hold​s annual Veterans Resource Fairs. These fairs provide veterans with knowledge about the benefits they have earned – from health care to educational benefits – and how to best utilize them.